Aboard the Chattanooga Riverboat the Southern Belle, you can enjoy a variety of cruise options, from dinner cruises to sightseeing cruises, allowing you to see and explore the beautiful Tennessee River. This climate-controlled ship gives you the opportunity to step inside to avoid the heat, but you can also enjoy perfect sightseeing opportunities from the deck. Float along the Tennessee River, where you will be surrounded by beautiful sights on this perfect touring adventure, unlike any other in the Chattanooga area. 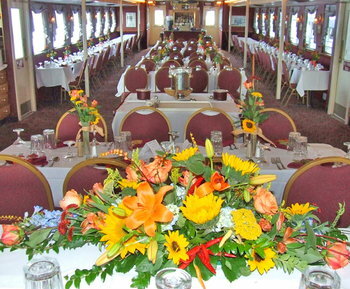 When planning your cruise, you have a variety of options, including the Tennessee River Sightseeing Cruise, Admiral's Dinner Cruise, Deluxe Deli Lunch Cruise, Captain's Dinner Cruise, and the School Sightseeing Cruise, all of which offer you fantastic views while the ship explores the incredible sights. 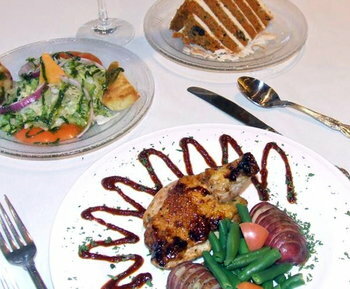 On sightseeing cruises, you can enjoy snacks available for purchase, and on lunch and dinner cruises, a delicious meal is provided. 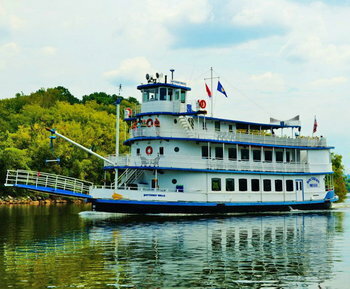 Step aboard the Chattanooga Riverboat for an evening of entertainment, food and fun, a romantic cruise under the stars, or the opportunity to see the many sights along the smooth Tennessee River!